Fungi have emerged as a major threat to humans, causing a wide range of infections such as oral thrush, vaginitis, nail infections and septicemia. These infections are more common in individuals with reduced immunity, and may even be life-threatening. Symptoms vary, depending on the organs affected. Your doctor may prescribe antifungal medications and surgery to treat your fungal infection. Certain supplements and herbs such as turmeric may also help prevent or treat fungal infections. Turmeric, or Curcuma longa, is a perennial plant native to southern Asia. Boiling, drying and powdering the roots and underground stems of the plant create a flavorful yellow powder. Used in food for centuries, turmeric powder contains a polyphenolic antioxidant called curcumin, which has immense medicinal value. 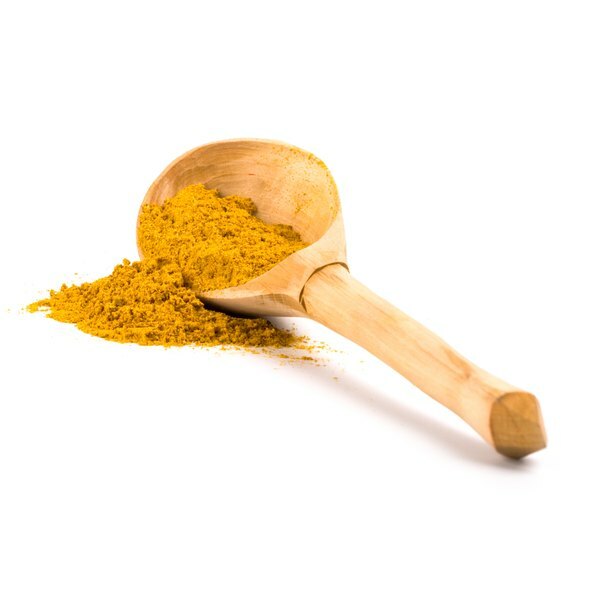 In fact, the Ayurvedic and Chinese schools of medicine have used turmeric to treat a variety of conditions, including indigestion, ulcers, arthritis, heart disease, infections and certain types of cancers. Turmeric supplements are available in powders, capsules, liquid extracts and tinctures, but dosages vary. Talk to a health-care provider to establish a treatment regimen that is right for you. The curcumin in turmeric prevents the attachment of fungi like candida to the oral cavity in HIV patients, according to a study published in the February 2009 issue of the “Journal of Antimicrobial Chemotherapy.” Another study in the February 2011 issue of the “Archives of Medical Research” revealed that curcumin can inhibit the growth of fungi in the oral cavity, and thereby reduce the risk of fungal infections. A study published in the May 2011 issue of “Food and Chemical Toxicology” also pointed out that the essential oils extracted from the leaves of the turmeric plant may suppress the growth of fungi such as Aspergillus, which can cause serious respiratory tract infections in humans. The benefits of turmeric for fungal infections have been proven in the laboratory only, and actual clinical trials are lacking. Curcumin supplements are generally safe to use, although side effects such as upset stomach and ulcers may occur if you take high doses. They may also cause an unusual drop in blood glucose when taken along with diabetes medications. In addition, turmeric supplements may interfere with certain antiplatelet and antacid medications. Always talk to a health-care provider before using turmeric to treat fungal infections. The Food and Drug Administration does not monitor the turmeric supplements sold in the United States. Make sure that the product has been tested for safety and received a seal of approval from an independent testing agency such as the U.S. Pharmacopeial Convention.